THE FICTIONAL town of Wayward Pines, its denizens living within an electrified fence under the close watch of Sheriff Arnold Pope (played by Terrence Howard), has been keeping viewers on their toes for the past nine episodes. It all ends here as Wayward Pinesa�� season two finale goes on air today. The final episode, Bedtime Story is all set to have the Abbies (creatures fenced out of Wayward Pines) descend upon the town and wreak havoc. Known for his supernatural plots like Unbreakable, Signs and The Village, director Manoj N Shyamalana��s realistic visualisation of the Blake Crouch novel saw him nominated for the best science fiction television series award at the 2016 Saturn. 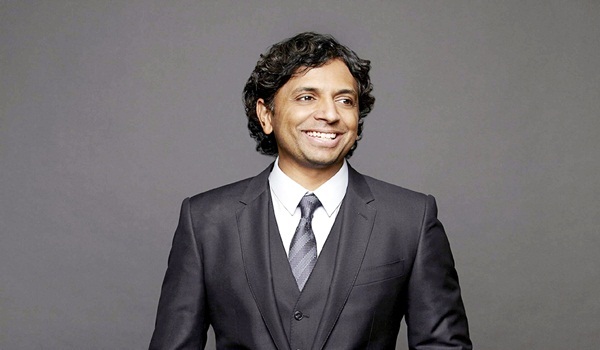 At the end of the season, Shyamalan revealed his take on the series and the difficulties of getting a novel to television. Why a television show and not a movie? Blakea��s novel is a set of giant ideas. If we did Wayward as a movie, Ia��d have just two hours to do all of that. Thata��s so hard. And now we get to do the opposite, which is talk about this premise, what is it like to be the last group of people at Wayward Pines. Wea��re blessed to be making television or at least joining television for both of usa��it was the first show, Waywarda��at a time where the formats were not prescribed to you. What is it with you and Blakea��s novels? I read his most recent book. Finished it in three days over the weekend. I wona��t say anything about it except that it was a killer. Wait till it comes out, ita��s another giant, giant idea. Putting together the showa��s writers? It was originally tricky. Everybody that wrote on the show has their own shows. Everybody just took off and did their own stuff. Even actors Carla, Melissa and Terrence have their shows. This is ridiculous. a�?Why didna��t we lock all these people up?a�� I thought. Even the twinsa��The Duffer Brothers, who wrote five of the episodes in season onea��ended up with their own show. So the challenge was, leta��s do the exercise all over again. Find a whole new group of writers and directors to work with. Eventually we found and have them all locked up and if we do a final third season, that comes handy.